Tommy is a lifelong resident of West Texas. He was born and raised in Odessa, Texas. After high school, he attended Texas Tech University and obtained a degree in Finance from the Rawls School of Business in 2002. He then attended St. Mary’s School of Law in San Antonio and graduated with his law degree in 2005. After completing his education and passing the bar, Tommy moved back to West Texas and took an associate position with a general practice law firm in Midland, Texas. In his role as an associate, he represented local businesses and individuals in contract disputes, consumer rights cases, personal injury cases, property matters, estate and probate litigation and guardianship proceedings. While in Midland, Tommy served as the Secretary and then President of the Midland County Young Lawyers Association and was an initial organizer of the area-wide, annual Evening with the Judges event. In 2009, Tommy accepted an offer from Shafer, Davis, O’Leary & Stoker in Odessa, Texas. While at the firm, Tommy’s focus was on litigation. He served as counsel for a multitude of multi-national oilfield companies, interstate trucking companies, and national insurance companies in complex personal injury litigation. While at the Shafer Firm, Tommy tried several cases to jury verdict and successfully negotiated hundreds of disputes to successful settlement. In 2014, he became a shareholder of the firm. Shortly thereafter, he was awarded the distinction of being named a Texas Bar Foundation Fellow. Tommy also continued his service work after moving to Odessa. 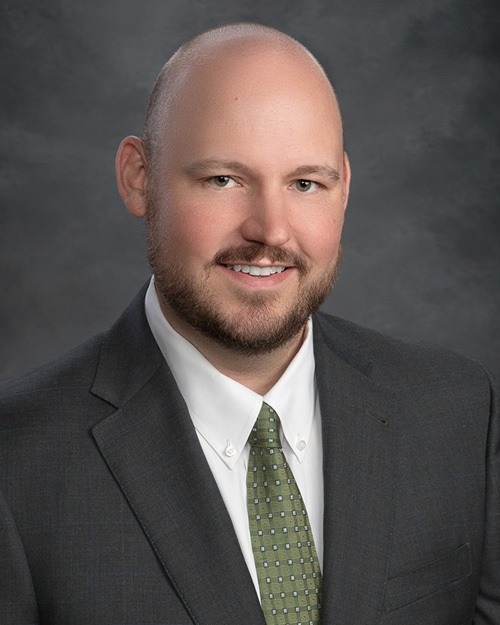 He was nominated and served as Vice-President of the Ector County Young Lawyers Association and was asked to be a part of several local organizations and boards. In June 2017, Tommy and his wife, Stefani, established Sheen Law Firm, P.C. Sheen Law Firm, P.C. is a general practice firm providing consultation and legal representation in a wide array of fields including litigation, collection, business organization, personal injury, estate, probate, guardianship contract, oil and gas and consumer law. His clients include individuals, land owners, oil and gas companies, trucking companies and financial institutions. In June of 2018, the Sheen Law Firm opened a second office in Lubbock, Texas in order to provide services to clients in need in the South Plains area. In addition to assisting his clients, Tommy enjoys spending time with his wife Stefani, daughter Sydney and son Davis. His family is active in their church where Tommy sings and plays guitar and violin in the praise band, and Stefani assists with the children’s program. Tommy also serves as an advisory board member for Southwest 66 Credit Union, the Odessa Development Corporation-Compliance Committee and Legal Aid of Northwest Texas.